Wishing all my readers a Merry Merry Christmas today! Hope you are all having a real fun time with your friends and family and hope all your wishes come true! A special thanks to everyone who entered in the cookbook giveaway here to celebrate 2 yrs of 'Mriganayani'. There were more than 100 entries and you guys got me all excited with an overwhelming response. And I just picked a winner today! I did this giveaway the old fashioned way. And of course, like always, I took pictures too. Here are all your names typed up and getting cut out into little bits. Yes, I love the bowl too. And here's me picking the winner. Sumi is also a food blogger and blogs at Sumi's Kitchen and she lives in Brussels, Belgium. So, her pick of the cookbook is going to go all the way to Belgium from here. Wish I could go along with the book too! Her blog has wonderful baked goodies and other delicious looking stuff. Check it out. I've just sent out an email to Sumi to find out what's going to be her book pick - will update this post as soon as I hear from her. 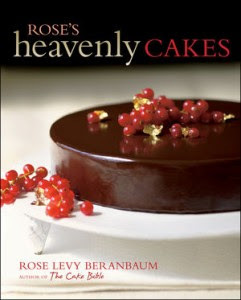 Update: Sumi has picked Rose's Heavenly Cakes as her favorite book of all 5 options! Your book is on its way to you Sumi! I might just end up buying one more for me soon! LOL! Enjoy the book and bake many goodies from it so we get to see and drool at all that! Let me start off with saying a big Thanks to everyone who wished me here - I loved all your love! And if you have not entered in the Cookbook Giveaway yet, please do so. The last day is 22nd of Dec and you can leave your comment on this post to be entered to win - Its a New Gorgeous Day. A special hearty warm 'Thank You Babes' to Nags for this incredible and funny write up on my blog. And a special welcome to all the friends who came over here from there! This is a rich kind of rasam if you know what I mean. Rasam is something that can be made with just the little basic ingredients and yet can also be made with so many wonderful ingredients and in the end they both taste great and bring about a warm'thness to your soul. Mysore rasam is a perfect rasam to make when you are having company over for a good south indian meal. It's the -I care about you and hence made this special rasam - kind of food. There is an air of exoticness when you say its Mysore rasam for the main course. At least to me, coz I think maybe this rasam originated in the palatial maharajah's kitchen. But to make it, you don't have to be a rajah's bawarchi. Its a pretty simple and straightforward recipe. Take about 2-3 good juicy tomatoes, skin seeds and all. Chop into big pieces and then blend in a mixer or a blender to make a smooth puree. Cook about 3/4 cup of toor daal in a pressure cooker. As you can see my daal to the right is completely cooked and you can mash it with the back of a spoon. You can use it just like that..but if you have daal ocd like me, you can blend even that in a mixer (like on the left here). Soak about a small lime sized ball of tamarind in water and squeeze out all the juice. Fry until they turn golden and a nice aroma arises out of the pan and hits the tip of your nose. If you've been a good girl, its the aroma from the coriander seeds. If you've been a naughty girl, its the spice from the red chillies that hit you. And I'm not telling you which hit me! Aha! Now, add about 1/2 cup of coconut (dessicated) and fry till they start to turn brown. Cool down for a few mins while you get the other stuff going. In a sauce pan, pour in the tomato puree and add the juice from the tamarind in here. Add a pinch of asofoetida. Add a little salt to taste and add about 1 heaped tsp of rasam powder and let this all boil together until the raw smell of the tomatoes goes away and it starts to thicken up. Then add the cooked and mashed daal in to the boiled tomatoes. Add equal quantities of water..that is basically double the amount you have in the pan coz rasam should always be thin. Let it all boil together. Add a little salt to taste for the daal. If you've added all the salt up front, skip the salt here. Grind up the roasted channa daal and coconut mix. There are a couple of ways you can add this to the rasam. You can either dry grind them like this here and add it to the rasam. This will have little pieces of this ground powder floating around in the rasam. I love it this way. But, you can also add a little water to that and grind it into a paste form. And add this to the rasam. On this day, I made a paste and added it - no reasons, just felt like it. Add the fresh ground powder or paste to the rasam and let it cook for a few mins. Once the rasam starts boiling fully and rises to the top, switch it off. In a small tadka pan, add a tsp of ghee and add mustard seeds, red chilli and curry leaves for tadka. Serve piping hot with rice and vegetables. Or just pour into a cup and drink like soup. Persimmons are a very Asian fruit. So proudly Japan and China Asian that they forgot to tell even their own South Asians Indians about them. I had not heard about this fruit until a couple of years ago when we moved into our house. The previous owners had planted the Persimmon and Guava trees and these are pretty solid fully grown trees now with a lot of fruit. These Persimmons in my back yard are the 'Fuyu' or the non-astringent variety. These don't have to be really ripe and can be eaten when they are orange and a little crunchy too. They kind of taste like apples but with a little tartness to it. Here's my all green tree - this was actually a couple of months ago. You can't really see all the fruits here - they kind of form in big bunches and hide well behind the leaves. It was very interesting to see that. When you walk up to and look into the tree, you can see big bunches of fruit all in a little cluster. Peekaboo. Here's a little sample of what I found hidden. I love the color of these babies. This one was really orange and ripe. I've always wanted to make something with this fruit. I came across this site with a few good persimmon recipes and instantly decided to give the Persimmon Cookies II a try. The recipe was simple enough and I had almost all the ingredients with me. But I modified some of the ingredients to customize a little bit. Spice Mix - 1/2 tsp. This is a dry powder of cinnamom, cloves and cardamom. Apricots, Almonds, Chocolate Chips and Raisins - about 1/4 cup each. Chop up the persimmon and throw away the core..just like apples. Look at these lines in the middle here. And then further chop into small pieces. And then using a blender, puree and make persimmon pulp. I used about 3 persimmons for this much pulp. Add a few drops of water - just so your blender will get going. Not too much water. So, that's about 1 3/4 cup. I actually used only 1 1/2 cup for the cookies. When my parents were visiting, they got me this absolutely heavenly smelling small gift box of spices. These were fresh spices from Kerala and it was like I was surrounded by a whole spice forest. Oh, the smell when you just open the box. It is so stress reliving. People should just keep a box of this in their work cubicles and for 3 mins a day - they should just open this and smell. No more stress. I love the flat cinnamon in the box. Just make a dry mix of some cinnamon, a few cloves and a few elaichi pods (cardamom). These will all be additions to the persimmon batter. Again, you don't have to have these things - improvise with what you have or add stuff that you want to taste in your cookie. And the fresh chopped ginger - also brings the whole earthiness to the cookie.You've got to eat it to believe it! Add the butter and brown sugar to a mixing bowl and beat on low speed until all the butter is incorporated well with the sugar. Make sure the butter is in room temperature and soft or even a little melted before mixing. Add 1 egg and beat well until combined. If you are a no-egg person, skip it and add maybe a little baking powder along with the soda. Now, pour the persimmon pulp to the butter mix. Beat on medium speed until well combined. For the dry mix, take about 2 cups of all purpose flour and add 1 tsp of baking soda to it. Then, add the wonderful, flavorful spice mix - about 1/2 tsp. Don't add a lot - you don't want the spice to overpower the persimmon flavor. This 1/2 tsp just enhances the flavor and adds the needed oomph to the cookies. Mix the dry flour mix with the persimmon/butter mix. Now, throw in the extras...the apricots, chocolate chips, almonds and raisins. Batter is so ready now for the final show. Take little spoonfuls and spoon on to a baking tray and bake in a preheated oven at 350F for about 10 mins or until you see them turn golden and they look done. Go ahead..enjoy with your little toothpick poke too. My heart skipped a beat when I saw how pretty these looked and how great they smelled. Is that a good texture or what? And with little biteable pieces of good stuff inside. Perfect. Cool them on a rack. Eat them warm. And share them with your neighbors. I did and they loved it too. I have to mention though - this cookie tastes great when its warm. When its cooled down, the spices take over.. which some might like. But when warm, the spices take the back seat and let the persimmon rule up front. And that was a really good thing. Just like cinnamon rolls, some things are meant to be eaten warm. And this is the big daddy of that family.